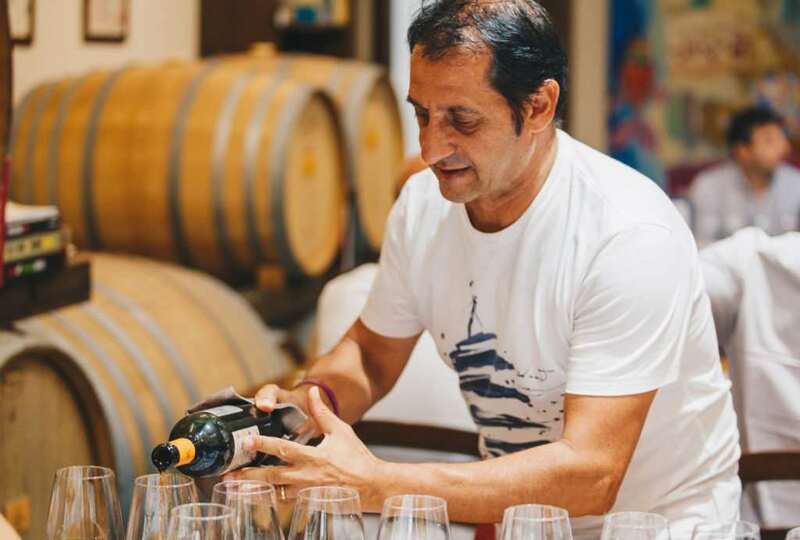 Feudi di Guagnano was born with the aim of saving a few hectares of vineyards cultivated with negroamaro and primitivo abandoned by vintners who were elderly and no longer able to cultivate them. This is why producing wines for our winery was above all an act of love towards a territory, the North Salento, historically among the most important in Italy regarding wine. The name “Feudi di Guagnano” derives from the word “fiéu” (in Latin feudus) which in the Salento dialect means rural district, portion of extra-urban land: in fact our vineyards, smaller than an hectare, dwell in different districts of the Guagnano area. The company brand, interpreted in a modern key, represents a perfect synthesis of the history and traditions of this important area in the center of the Salento peninsula. In fact, it shows a detail of the most significant image of local historiography: the Basilian fresco “Madonna with Child”. A popular legend traces the foundation of the first nucleus of houses in the town of Guagnano around it. Since 2002 Carlo, Gianvito and Franco – grandchildren of those same indefatigable winemakers – have committed themselves, after having saved the ancient Negroamaro vineyards belonged to their ancestors from abandonment, to write every day a new chapter of this long and fascinating story, called “Feudi di Guagnano”, underlining the indissoluble bond with the Salento territory and the feeling towards this stingy and, at the same time, generous land. In Guagnano, a town with a pulsing heart for the land and the vineyards, the tenacious vineyard grandparents were able to write important pages of a story entitled “Negroamaro”. Not a story like all the others: in fact, it captures the effort and the spirit of sacrifice of people born and raised in a strip of the South, where often the everyday tended to blend in with the eternal. A story which is easy to listen to and still hear the screeching of the wheels on the mule tracks and the indistinct voices among the vines to act as a crest between night and day. More than eighty years later, the same spirit of sacrifice and an identical passion still pulsate in our hearts with the same vigor and the same tenacity. Our wines are obtained exclusively from native vines: negroamaro, primitivo, malvasia nera from Lecce and verdeca. A special selection of Chardonnay is aged in French oak barrels for 6 months. 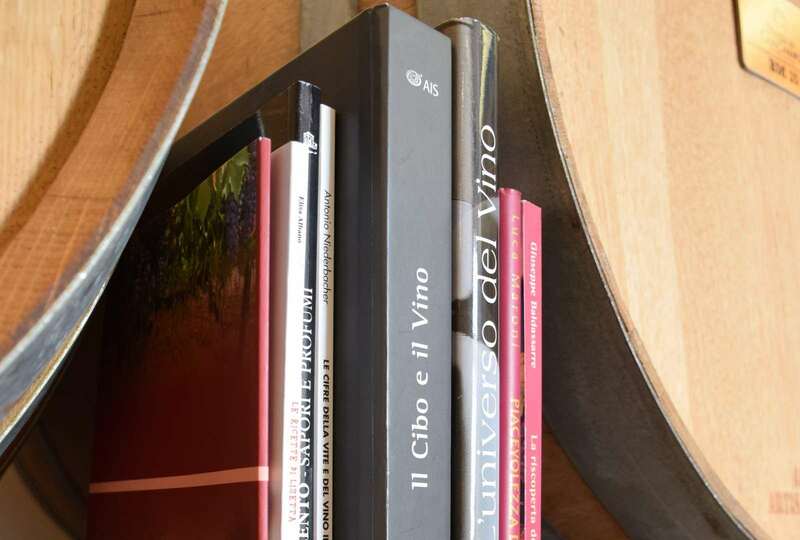 This philosophy stems from the desire to enhance the area and produce wines that are an expression of the history and the winemaking tradition of their land. 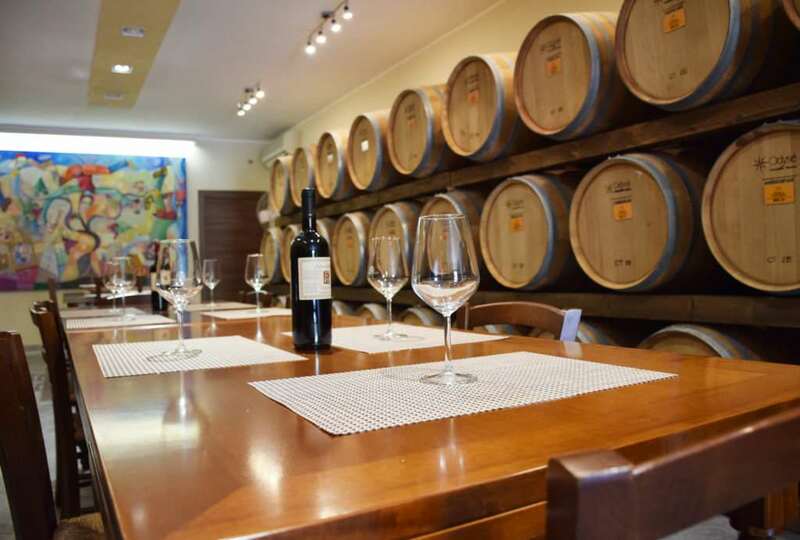 The extreme care in cultivation and vinification processes together with a strictly manual harvest, qualify the varied offer of wines from our winery. We could define this way “Nero di Velluto”, the most important wine of the winery: a modern Negroamaro whose history begins in 2002 but which finds the inspiration for its name in a 1918 script by the Salentine photographer and journalist Giuseppe Palumbo. We imagined a symbolic wine for our winery. To give us the raw material would have been the oldest vineyard planted in 1935 and survived the Second World War and the abandonment of man. The first harvest was supposed to be 2002 and so it was. However, the year turned out to be difficult and disastrous: we remembered only 1995 as worse. It was this “accident” of nature that led us to change our harvest strategy and to collect the best bunches of negroamaro in small single-layer wooden boxes. This would have allowed us to make a slight withering for 30/40 days in order to have both an increase in sugars and in the values ​​of polyphenols and anthocyanins. 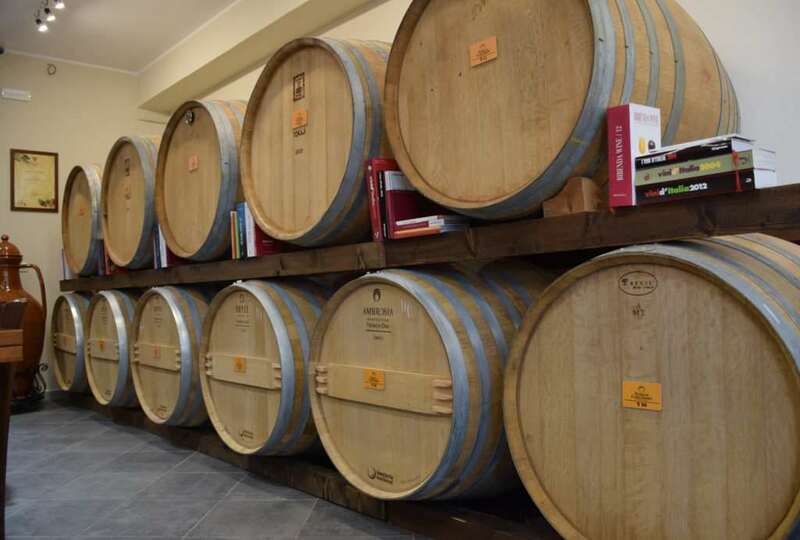 The resulting wine, about 18 hectoliters for 2,298 bottles all hand numbered, was aged for the second time in 8 wine barriques from a famous Burgundy cellar. So far this has been the purely technical and material aspect of the birth of this wine. The sequel, that is his baptism with the name of Nero di Velluto, is linked to a 1918 script by Giuseppe Palumbo entitled “La Vendemmia nel Salento” published in the Milanese magazine “Varietas” and which, foreseeing its imminent use, some year earlier we had partially transcribed it on a sheet of paper. After the harvest of 2002 (the first) we re-read the contents and at a certain point the eyes stopped on the following sentence: “(…) And at the bottom of every vine, everything has turned black with velvet, everything is ripe, deliciously fragrant “. That day was October 7th and the Black Negroamaro was born. 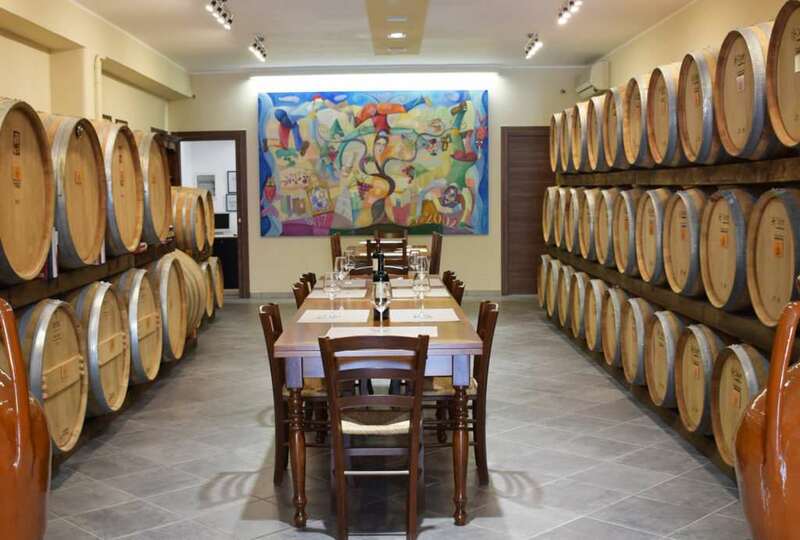 The Feudi di Guagnano winery is composed of two production units located in the municipalities of Guagnano and Campi Salentina. Just five kilometers of uninterrupted vineyards unite the two sites. And that’s why we say that ours is a “widespread winery”. There is no difference, there is no separation. 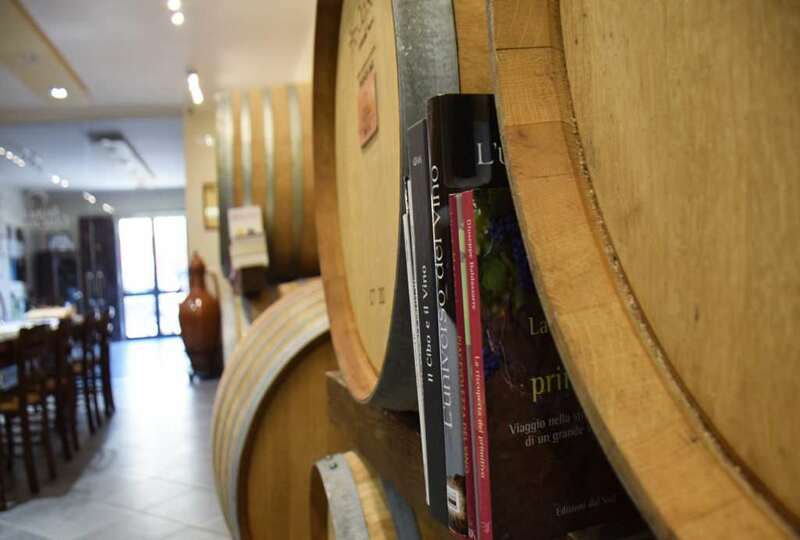 In Guagnano the historical site with a large tasting room surrounded by rows of barriques, the offices and the shipping warehouse; in Campi Salentina the wine-making and bottling plants and the ancient bottaia.